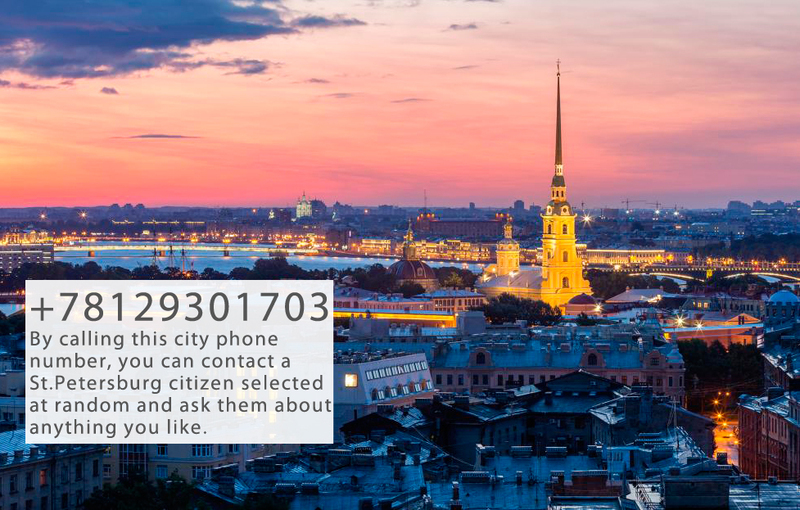 The Number of St. Petersburg project allows anybody in the world to make a call to the city and talk to a local in English who has registered with the project. The author of the initiative, Victoria Yevdokimova, was inspired by Sweden, the creator of "The Swedish Number" project. The info partner of the initiative is the Tourism Committee of St. Petersburg. The official website of the project.